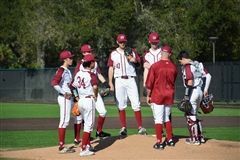 Ronan Donnelly took a one-hitter into the seventh inning but ended up with a no-decision as Sacred Heart Prep dropped a frustrating 3-2 decision to Terra Nova in nine innings in a PAL Bay Division contest Wednesday. 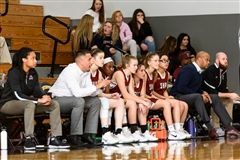 Sacred Heart Prep remained in the thick of the Santa Clara Valley Athletic League El Camino Division race following a 25-14, 25-11, 25-8 decision over Santa Clara in Atherton on Tuesday. 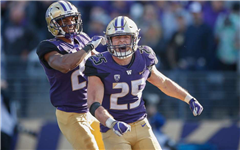 The Pac 12 Defensive Player of the Year, a former Sacred Heart Prep star, led the nation in tackles but lacks prototypical size. 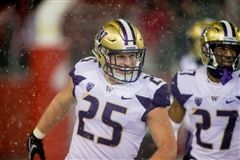 Washington linebacker Ben Burr-Kirven, a Sacred Heart Prep alum, has NFL aspirations after he led NCAA Division I players with 176 tackles last season. 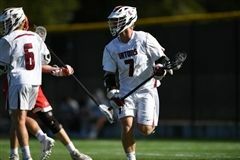 Tommy Barnds scored five goals and recorded three assists to help the Gators beat Mitty 15-6 in a league contest Thursday in San Jose, setting up a match with St. Ignatius (11-0, 5-0) on May 1 in Atherton with the regular season title at stake. 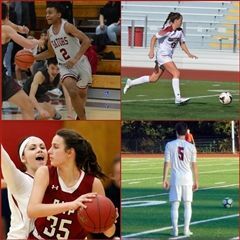 Your source for local and national media coverage of all in-season Sacred Heart Prep sports. For up-to-the-minute coverage of all Gator Athletics, be sure to follow @SHPAthletics on Twitter! Boys Volleyball: SHP defeated The King's Academy 3-0. Boys Baseball: SHP defeated Santa Teresa 11-8. The reigning Pac 12 Defensive Player of the Year & Pac 12 Scholar Athlete of the Year has been recognized by the National Football Foundation as a Hampshire Honor Society member. 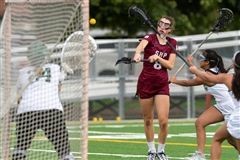 Congratulations to Genna Gibbons (Girls LAX) for being named this weeks Palo Alto Online Athlete of the Week. 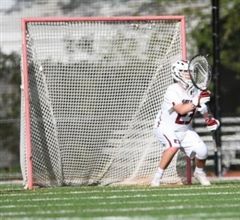 Sacred Heart Prep maintained its hold on first place in the West Bay Athletic League with a 14-7 victory over Menlo-Atherton on Tuesday at Sacred Heart Prep. Congratulations to the Barnds brothers, Tommy (senior) and Billy (sophomore) for being named the San Mateo Daily Journal's Co-Athlete's of the Week! Andrew Daschbach (SHP '16) has caught fire of late for the 2nd ranked Cardinal. Over his last 9 games, the junior 1st baseman is batting .417 (15-36) with 3 homeruns and 6 RBI's. Fresh off a 6-0 shutout against Belgium, SHP grad's Abby Dahlkemper ( SHP '11) and Tierna Davidson (SHP '16) sit down with Sports Illustrated to discuss what lies ahead for the US Women's National Team as they prepare to defend their World Cup Championship. 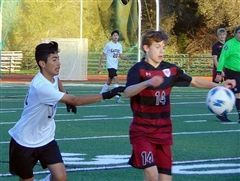 Congratulations to junior Liam Johnson, who has been named the San Mateo Daily Journal's Boys Soccer Player of the Year! 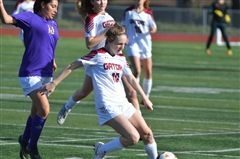 On the girls side, Genna Gibbons scored six goals, Allison Carter added three and Sacred Heart Prep topped Castilleja 16-1 in a West Bay Athletic League Foothill Division contest Saturday at El Camino Park in Palo Alto. 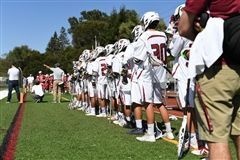 The defending WCAL champion SHP Boys Lacrosse team extended its winning streak to 16 matches, dating to last April 26, beating Marin Catholic 17-14 in a nonleague match Saturday in Atherton. 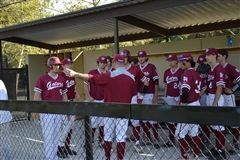 The SHP Boys Baseball team was edged by The King's Academy, while both the Boys and Girls Swim Teams defeated Leland on Friday afternoon. In his 1st season at Arizona State, Dom Cacchione (SHP '18) has already made his impact felt. Dom has made 9 appearances on the season, 8 of them in reflief, for the 5th ranked Sun Devils (25-2, 8-1). Cacchione has struck out 9 batters in 10 innings on work thus far, and limited opponents to a .256 batting average against. 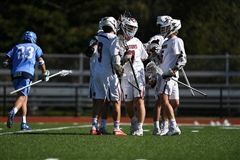 Tommy Barnds scored four goals, one of 10 players to reach the scoring column, and the Sacred Heart Prep boys lacrosse team topped visiting Bishop's School (La Jolla) 18-6 in a nonconference match Thursday. 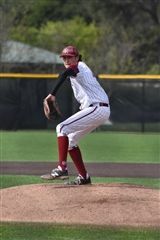 Ronan Donnelly had three hits, Reece Lindquist allowed one earned run in six innings and Sacred Heart Prep finds itself down 6-4 with no outs in the bottom of the tenth inning in its Peninsula Athletic League Bay Division game with visiting The King's Acacdemy that was suspended due to darkness. 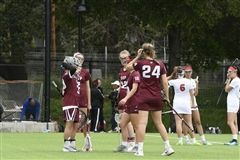 Senior lacrosse standouts Emma Briger and Ingrid Corrigan, along with Stanford-Bound pitcher Nate Fleischli, were named Palo Alto Online's Athletes of the Week! 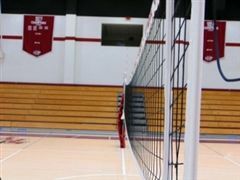 The Sacred Heart Prep boys volleyball knocked off previously unbeaten Santa Clara Valley Athletic League El Camino Division leader Wilcox, 25-16, 23-25, 24-26, 25-17, 15-7, in Atherton on Tuesday. 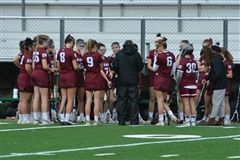 Allison Carter and Genna Gibbons each scored twice and seven other individuals added a goal as the Sacred Heart Prep girls lacrosse team flummoxed Saint Francis 11-3 in a West Bay Athletic League contest Friday. 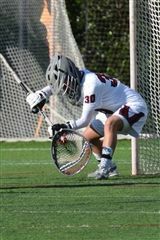 Senior goalie Emma Briger was one of twenty girls named to the 2019 USA Today All-USA Preseason High School Girls Lacrosse Team! 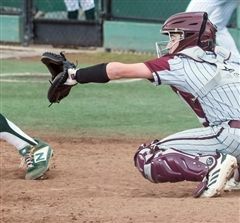 Reece Lindquist collected three hits, including a home run, and drove in two runs to support Nathan Fleischli's one-hitter in Sacred Heart Prep's 8-0 victory over host Capuchino in a Peninsula Athletic League Bay Division baseball game Friday. 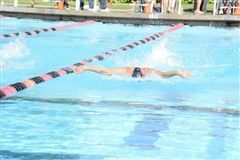 Sacred Heart Prep finished second to defending state champion Santa Margarita on the girls side and fourth to defending Central Coast Section champion Bellarmine Prep on the boys side of the California Catholic High School Swim Challenge in Atherton on Saturday. 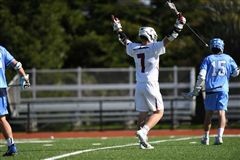 Tommy Barnds scored six goals and had two assists as the Sacred Heart Prep boys lacrosse team remained undefeated with a 15-1 West Catholic Athletic League victory over host St. Francis on Wednesday night. Parker Isaacson threw a five-hitter, allowing one run, walking two and striking out five, leading the Gators to a 5-1 win over Capuchino. 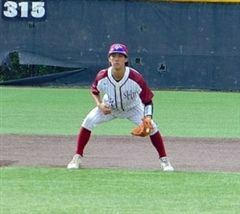 Issacson also collected two of SHP's three hits, including a run-scoring double in the sixth. 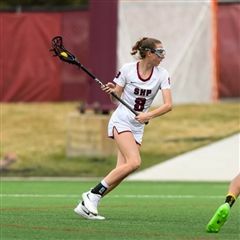 The SHP Girls lacrosse team took over sole possession of 1st place in the WBAL with a 10-5 win over rival Menlo. 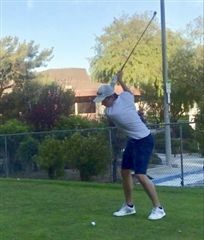 The Boys Golf and Volleyball teams followed suit, both defeating Hillsade on Tuesday afternoon. 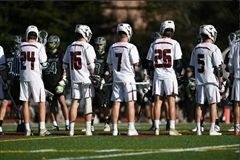 Following last Saturday’s 10-7 win over San Ramon Valley, the Varsity Boys Lacrosse team has been named the #1 team in the country by MaxPreps! In addition to their perfect 7-0 record, the Gators are 3-0 in WCAL play. Nate Fleischli headlines this weeks San Mateo Daily Journal's Honor Roll! 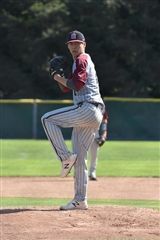 Fleischli threw a 3-hit shutout against crosstown rival Menlo while walking none and striking out 10. 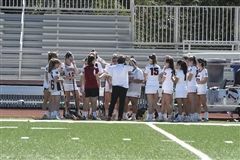 Varsity Girls Lacrosse Game Live-Streamed TODAY! 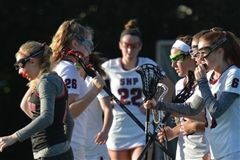 The SHP varsity girls lacrosse team will play two games this week. Both games, inlcluding today's showdown with crosstown rival Menlo, will be available for your viewing pleasure via live stream. The details are below. The Boys LAX team is off to a perfect 7-0 start and 3-0 in WCAL play. The Gators host St. Francis this Wednesday. 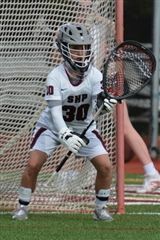 The SHP Girls Lacrosse team is off to 4-3 start, and a perfect 3-0 in league play. In 3 league matches, the Gators have outscored their opponents 46-6, and look to remain perfect in a Tuesday showdown with undefeated Menlo. 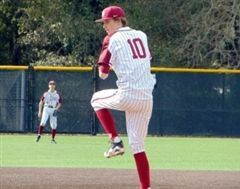 The SHP Baseball team defeated Menlo 10-0 on Friday afternoon. The Gators were led by senior Nate Fleischli, who threw a complete game, walking none and stiking out 10. 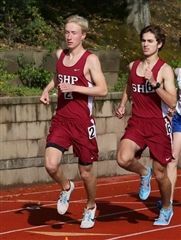 Senior Max Cluss won the 1600 and finished 3rd in the 800 at this weekend's Serra Top 7. On the girls side, Kegan Shaw finished 2nd in the long jump. The Boys edged Valley Christian 89-83, while the Girls were 119-51 victors over the Warriors. 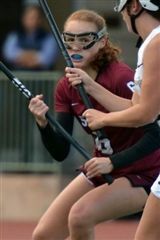 Genna Gibbons scored five goals and Emma Briger made fives saves to help Sacred Heart Prep down host Burlingame, 13-2, in a West Bay Athletic League contest Thursday. 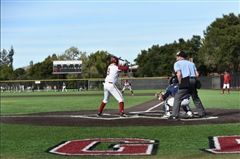 The Gators picked up their first PAL victory of the season, defeating Menlo 9-3 on Wednesday. 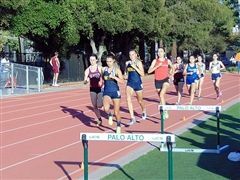 The two rivals will play again on Friday at Menlo. 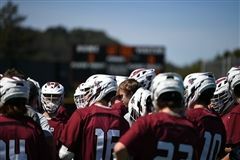 The SHP Boys lacrosse team improved to a perfect 6-0 on the season after defeating Bellarmine 16-6 on Wednesday. Junior Charlotte Levison and senior Zoe Zaharias have been named to the Mercury News' All-Bay Area Honorable Mention team! 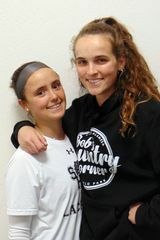 Zoe and Charlotte helped lead the Gators to a 16-12 regular season & a spot in the D4 CCS Finals. Finn O'Kelly shot a 3-under 32 at Sunnyvale Muni on Monday as the Gators topped The King's Academy, 189-228, in a WBAL match. Anikait Bhardwaj shot a 1-under 34, while Beck O’Kelly, Matt Flynn, and Rayan Rizvi shot 40, 41, & 42 respectively. Yianni Gardner, Aidan Macaluso and Ryan Mo combined to throw a six-hitter for the Gators (4-5-1), who defeated Aragon 4-2 on Saturday. The Varsity Boys lacrosse team, who came into today as the #4 ranked team in California, defeated 7th-ranked Redwood 10-5. The Boys & Girls Track and Field teams had strong showings yesterday in the WBAL 1B meet, highlighted by the Girls 4x100 relay team, who recorded the 5th fastest time in program history! 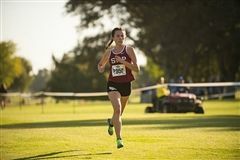 Max Cluss, Luci Lambert, and Keegan Shaw paced the Gator Track and Field team, finishing 6th, 6th, and 4th respectively in SHP's first meet of the season. 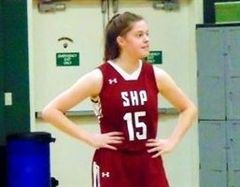 SHP grad Sara Choy ('18) won at No. 5 singles in her dual match debut at Stanford, defeating Caitlyn Frankel of Santa Clara University 6-3, 6-2. SHP: Goals: Max Sloat 8, Larry Hart 4, Joe Sonsini 2, Bryant Gavello, Tommy Barnds, Ben Ramsey. 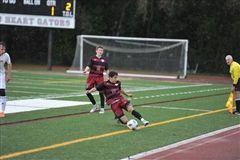 Assists: Tommy Barnds 2, Ben Ramsey 2, Max Sloat 2, Will Garlinghouse, Billy Barnds, Patrick Hagerty, Bryant Gavello. 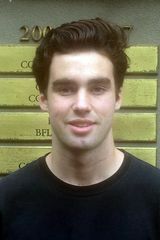 Saves: Cody Wiebe 5, Colin Choi. 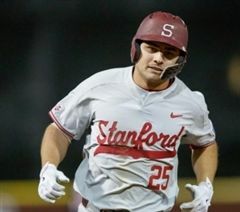 Sacred Heart Prep grad Andrew Daschbach hit his first home run of the season for the 11th-ranked Stanford baseball team, who took 2 of 3 on the road against #24 Cal State Fullerton. Senior Jake Davison has been recognized as a 2019 National Football Foundation Scholar-Athlete! Jake will be honored this Friday night at the 59th NFF Awards Dinner. The Division IV CCS Runner-Up fell to Marin Catholic 61-47 in the 1st round of the Division III CIF NorCal Tournament. Senior Zoe Zaharias led the Gators with 12 points, five rebounds, a steal and a block, playing her final prep game. 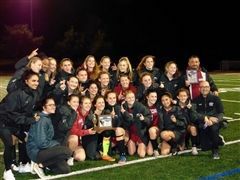 The SHP Girls Soccer team rallied from a 2-0 haltime deficit to tie the game at 2, but ultimtately fell to visiting Campolindo 3-2 in the 1st round of the Northern California Division IV Tournament. 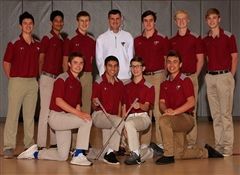 Sacred Heart Prep beat The King's Academy, 218-267, in its West Bay Athletic League opener Monday at Sharon Heights Golf and Country Club. 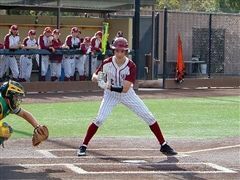 SHP grad Corbin Koch (2015) has been named to the All-SCIAC 2nd team. 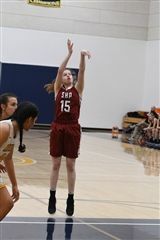 At SHP, Corbin was a three-year starter on the basketball team, and helped the Gators to West Bay Athletic League Championships as a junior and senior, earning league MVP honors both seasons (first player in league history to be a two-time MVP). He also led the Gators to a CCS Division IV title as a junior. 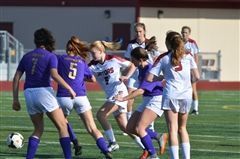 With yesterday’s 3-2 win over Seaside, the Girls Varsity Soccer team returns to the CCS Championship for the first time since 2016, and will meet the winner of Wednesday’s Monte Vista Christian/Woodside Priory match. 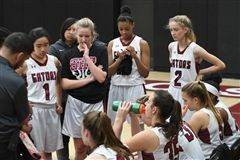 Zoe Zaharias led the way with 19 points, while Megan Norris added 17 as the top-seeded Gators defeated Mercy San Francisco 77-39 . 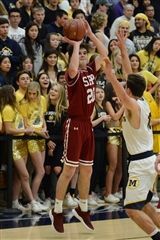 With the win, SHP advances to Thursday's 7 p.m. semifinal game at Menlo vs. Monte Vista Christian (19-7). After defeating South San Francisco 1-0, the Boys will play Monterey on Wednesday, while the Girls will play Seaside following their 5-0 victory over Seaside. 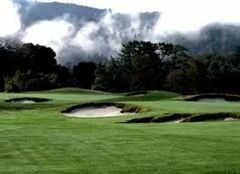 The Gators (14-11) move on to the Central Coast Section Division IV second round on Tuesday, where they face No. 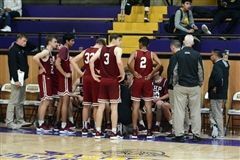 2 seed host Pacific Grove at 7 p.m.
SHP forward Jai Deshpande led SHP with 17 points, and teammate Brendan Carney had 14 points -- five points in the fourth quarter, including the go-ahead free throw with 4.4 seconds remaining in the game -- to lead the Gators. The Gators defeated South San Francisco 1-0 on a wet Saturday afternoon, and will face Monterey on Wednesday. The Varsity Girls Soccer team, ranked 3rd in Division IV, will host Alisal in the Quarterfinals of the CCS Tournament on Saturday morning at 11AM. The Boys, ranked 1st in the Division 1 bracket, will host South San Francisco immediately following the Girls game, at 1PM. 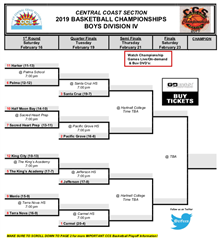 The Varsity Boys & Girls Basketball teams will be competiting in the Division IV brackets of the CCS Championship. Both the Boys and Girls soccer teams were victorious in WBAL play yesterday. The Boys defeated Harker 3-0 to remain in sole possession of 1st place, while the Girls beat The King's Academy 3-0 to strengthen their own chances of postseason play. 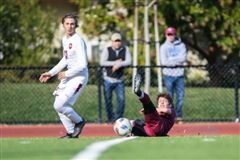 The West Bay Athletic League boys soccer race won't be decided any time soon and there's only two or three matches left to play. 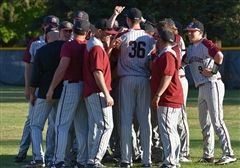 The top three teams all won Tuesday and even though Harker is the third place team in the equation behind Sacred Heart and Menlo, the Eagles are going to have a say in the championship race. The Varsity Boys Soccer team stopped by The Riekes Center over the weekend to discuss their season. The Gators are off to an impressive 13-0-2 start, including a 7-0-1 record in the WBAL. 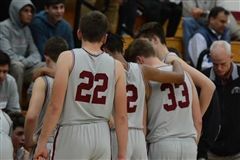 The Boys are currently in sole possession of 1st place in league, and are ranked by Prep2Prep Sports as the #4 team in the CCS (trailing only Bellarmine, St. Ignatius, and St. Francis). The Gators defeated rival Menlo 60-55 to take over sole possession of 3rd place in the WBAL. 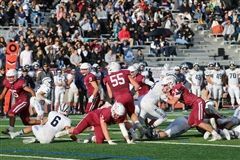 With the win, SHP swept the regular-season series against the Knights, with a potential 3rd meeting taking place in the Division IV CCS playoffs. The Varsity Girls Basketball team rallied from an early deficit to beat Priory and take over sole possession of fourth place in the WBAL. 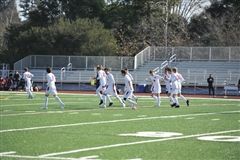 Meanwhile, the Varsity Boys Soccer team remained perfect on the season, defeating Priory 7-0. 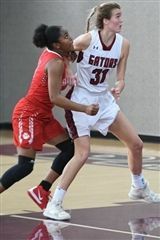 Despite losing to WBAL co-leader The King's Academy on Tuesday night, the Gators learned a valuable lesson that they hope will benefit them as they prepare for the home stretch. 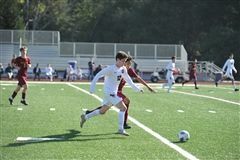 Sacred Heart Prep senior soccer player Liam Johnson has been named Palo Alto Online's Athlete of the Week. 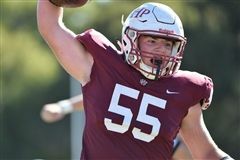 Six Varsity Football players have been selected to the 2018 Prep 2 Prep Sports All-CCS Team. 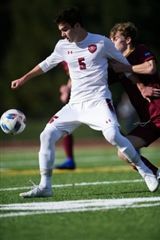 With yesterday's 4-2 win over Harker, the Varsity Boys Soccer team improves to 11-0-1 on the season, and takes over sole possession of 1st place in the WBAL with a perfect 5-0 record. She was only two months old at the time, but Maddy Johnston was already in her element — the swimming pool. 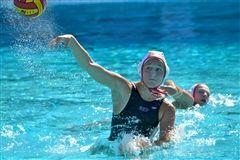 The San Francisco native joked that she initially floated and blew bubbles during her lessons, but fast forward 20 years, and she is now a vital member of the Michigan Wolverines Water Polo team. The Varsity Girls Soccer team played WBAL-leader Menlo to a 1-1 tie. Meanwhile, Boys basketball dropped a heartbreaker to Eastside Prep 48-47 in overtime. 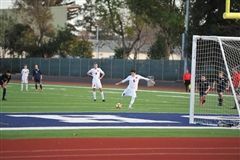 Varsity soccer player Kyle Nilsson has been named to this weeks Mercury News Highlight Reel. Nilsson has been instrumental in the Gators' 8-0-1 start, including scoring 3 goals in his last 3 games. 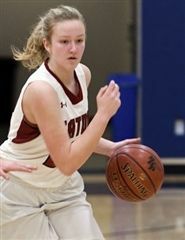 The Boys and Girls Varsity Basketball teams split their games versus crosstown rival Menlo. The Boys won 50-48 in an overtime thriller, while the Girls lost 58-41. 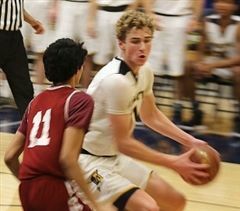 The Varsity Boys Basketball team defeated the defending WBAL champion Menlo Knights 50-48 in overtime. 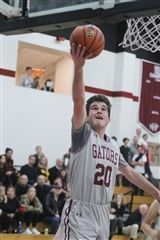 The Gator's were led by Brendan Carney's 12 points on 8 of 9 field goals, while Jai Deshpande chipped in 9. 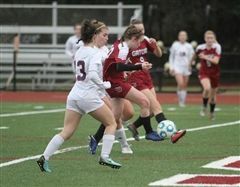 Tierna Davidson, who graduated from Sacred Heart Prep in 2016, was selected first overall in the NWSL College Draft on Thursday by the Chicago Red Stars. 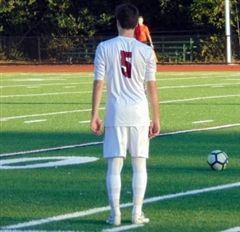 Liam Johnson scored once and had three assists in SHP's 6-0 win over Priory on Wednesday. 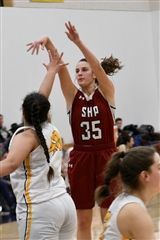 The Gators will face crosstown rival Menlo on Friday at SHP. 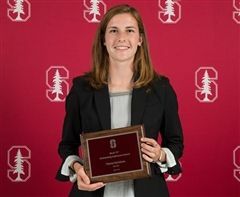 The Chicago Red Stars selected Stanford and United States women’s national team defender Tierna Davidson (SHP '16) with the first overall pick in today's 2019 NWSL Draft. The Varsity Boys Basketball team outscored Pinewood 21-3 in the third quarter en route to a 70-34 league-victory over Pinewood. The Varsity Girls Soccer team defeated Castilleja 2-1 behind 2 goals from Elle Lessing. In a showdown of Mercury News Top 25 teams, the Gators fell to Woodside Priory 49-25. 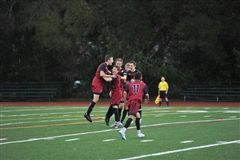 Sacred Heart Prep travels down the street to Menlo School for a league contest at 6 p.m. Friday. 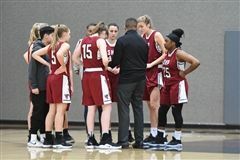 In the end, it was an 18-point victory for West Bay Athletic League girls basketball powerhouse Pinewood but it seemed much closer than that thanks to some determined play from Sacred Heart Prep and perhaps a little too much leftover holiday on the Panthers part. 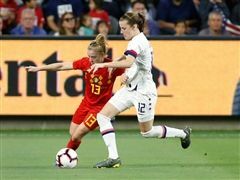 Tierna Davidson, McCall Zerboni and Kelley O'Hara have returned from injuries to make the U.S. women's national team roster for friendlies against France and Spain. The U.S. will kick off 2019 with a pair of matches in Europe - at World Cup host France on Jan. 19 and at Spain on Jan. 22. U.S. head coach Jill Ellis has named a 26-player roster for those matches, which includes three key players returning from injuries. 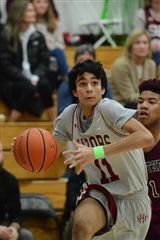 Jai Deshpande scored a career-high 26 points and Sacred Heart Prep opened West Bay Athletic League boys basketball play with a 67-57 victory over visiting Harker on Thursday.